I like it, since we have a lot of registered retarded people, Boss/Senza and so on, we've a retarded style. Ok, backed up. pedrin if you want your style I saved it for you. Ok, I'm going to "responder tema". There's no reputation-system, fortunately for u pedrin. Otherwise you would have get a - with this account and a 2. - with new created forum-account. This is 100% up to you, pedrin. Do it. For the next time that pedrin blame me because we have lost a match, here is the answer. Genious strike. +1 Levii, I also thought about forum hacked. I restarted to our former style. It ll be worth to rate it as it deserves...or do u want i change it again? Now it's again the stupid style. What's up? 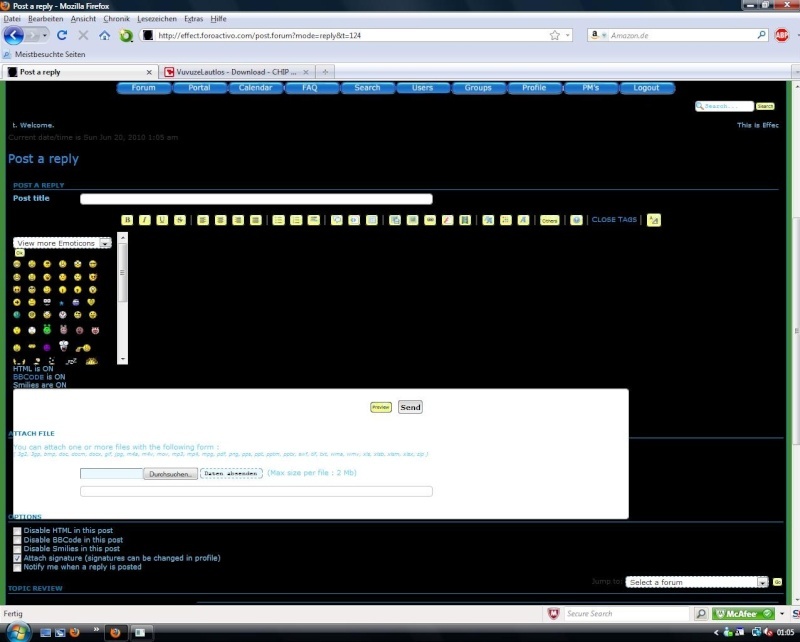 I'm with firefox and i have the problem ..
can u put me a screen of how do u see the forum, levii? EDIT: what about this new style?